Parking Lot Services – DynaCoat Inc. When it is time to choose between parking lot paving companies, DynaCoat is a reliable choice for quality work that keeps you on time and on budget. It is our experienced crews and use of quality materials that allow us to deliver top-of-the-line asphalt surfaces on time every time. We are equipped to handle projects of all sizes and we help you make a great first impression. Whether you need a new surface for an office or apartment complex, a strip mall or a large shopping center, the DynaCoat does it all. Weather and time can wreak havoc on paved surfaces. You want the face of your business to be inviting to all customers. It is best to repair problem parking lot areas before they become a huge liability. 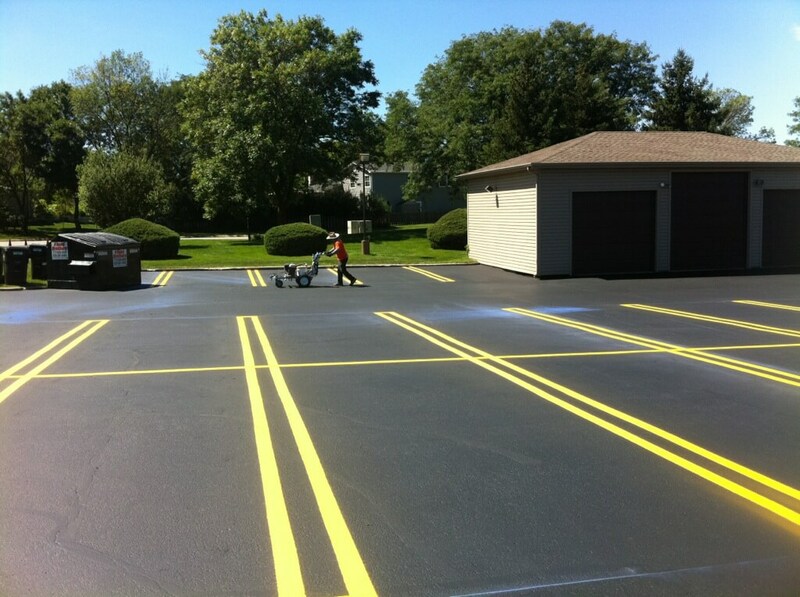 We help you maintain a professional looking business with a variety of parking lot asphalt services. No two parking lots are the same. That is why you need a company that takes accountability for your parking lot paving project. You’ll get this and quality workmanship from DynaCoat. 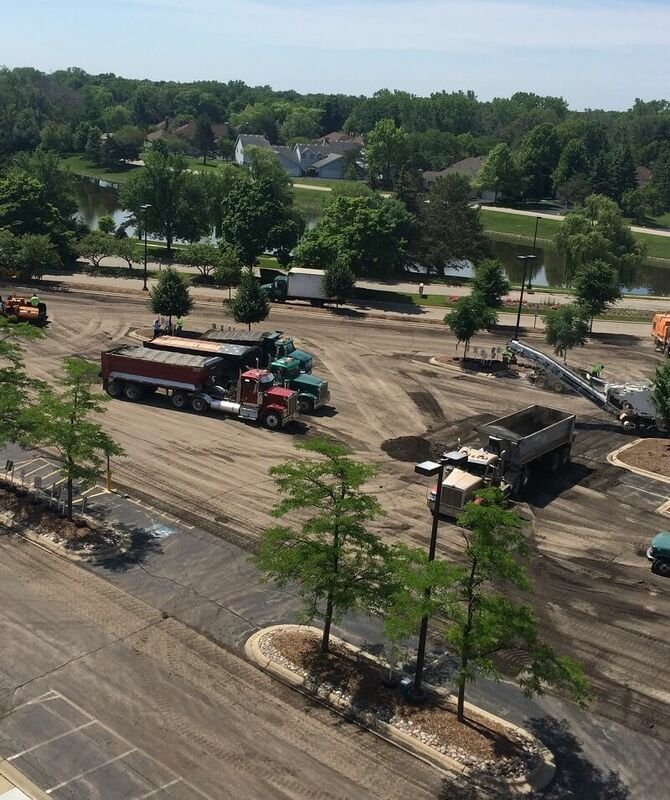 When you need help planning the installation of new lines to maximize the space of your parking lot for a customer friendly experience, we can customize a plan that delivers what you need. 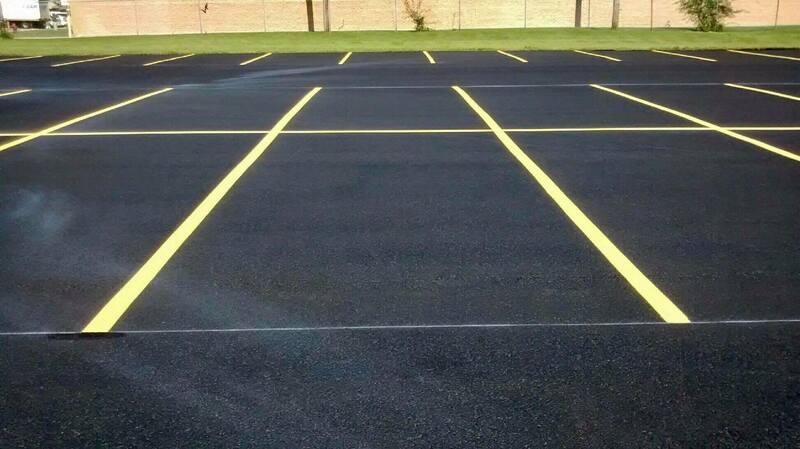 Well-striped asphalt parking lots allow optimal traffic flow, ease of parking and safety for pedestrians. Serving the Greater Chicagoland area, DynaCoat Inc is located in Carpentersville, Illinois. Through a combination of cutting-edge technologies and a commitment to customer service, DynaCoat Inc. provides each of its clients with expert sealcoating work. Dynacoat Inc. ©2017. All rights reserved. SJ Designs Powered Website.